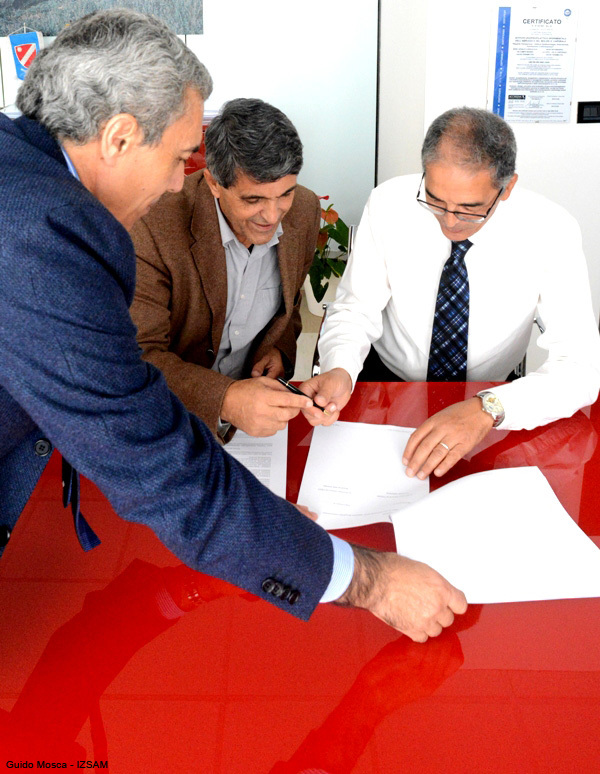 An important 5-year technical-scientific agreement has been signed in Teramo on November 6, 2013 between IZSAM and the Tunisian Institute for Veterinary Research (IRVT). 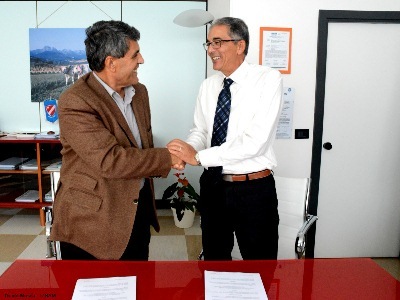 The general managers Fernando Arnolfo and Abdelhak Ben Younes signed this agreement particularly for the improvement of laboratory diagnosis on animal healthcare, food safety and trans-boundary diseases. 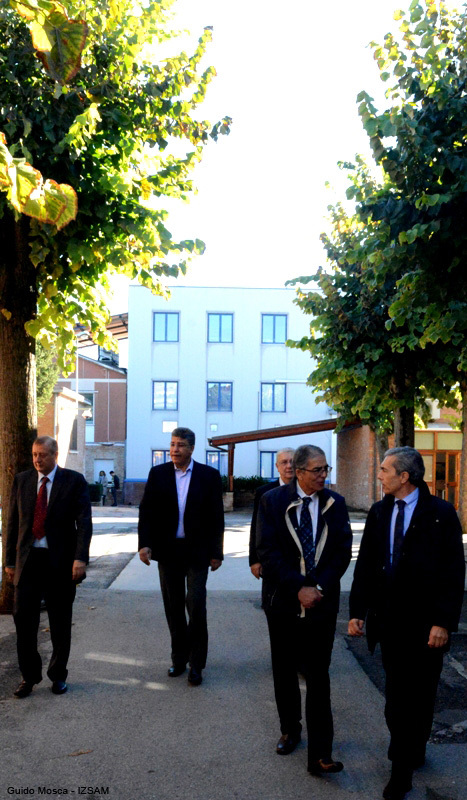 IZSAM and IRVT made a commitment to develop common research programs on priority sectors for Tunisia, Italy and, broadly, for all Mediterranean countries. Mr. Antonio Petrini, a veterinary manager of IZSAM, who is currently in charge at the OIE sub-regional Representation for North Africa based in Tunisia, also participated. Both emerging and re-emerging trans-boundary diseases are a serious threat for animal and public healthcare. Through the globalization process, the trade of animals and their products has highly increased the risk of spreading these diseases. 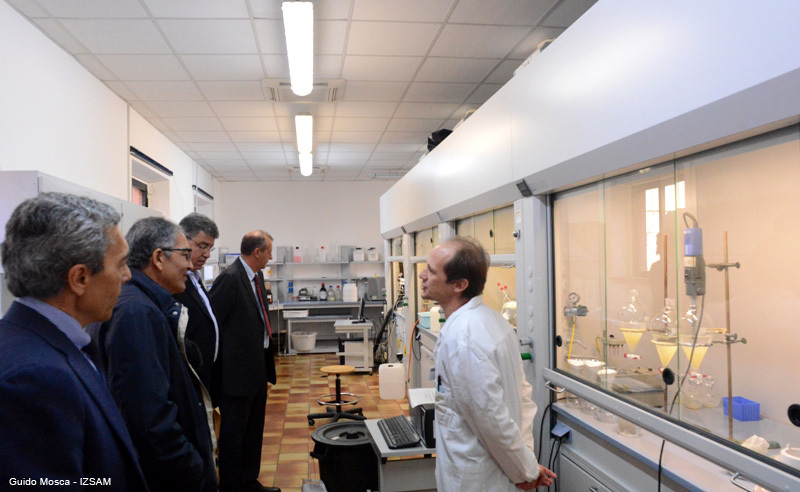 Therefore, the Veterinary Services' efficiency and the Official Laboratories' competence have become essential to prevent health issues, to support food safety and protect customers' health. 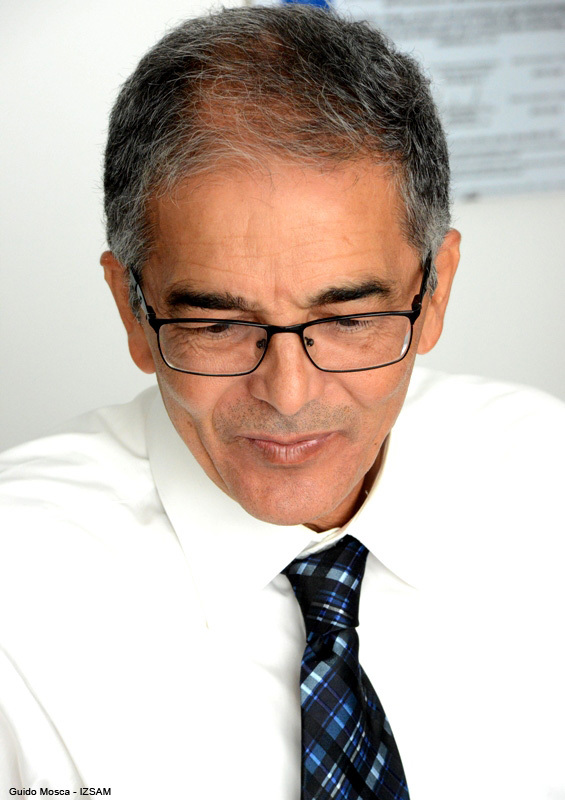 IZSAM will especially contribute to IRVT's technical and scientific personnel training, providing its know-how and all the skills gained through its international experiences. 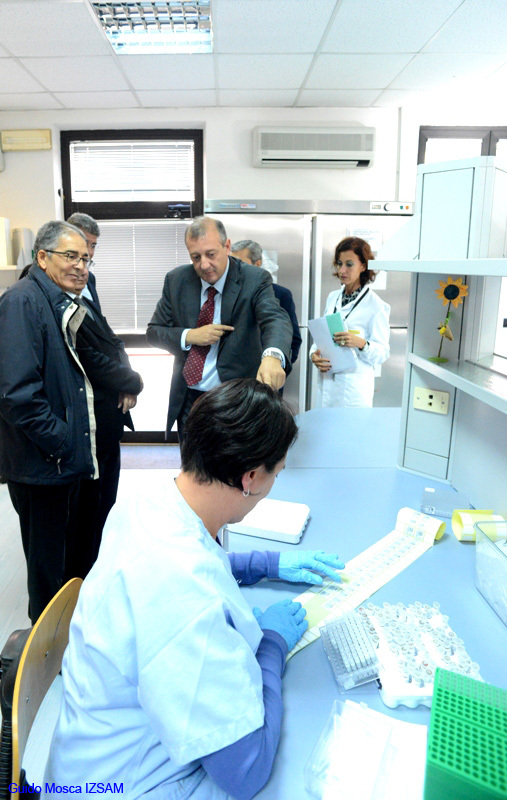 The Institute in Teramo had already worked with IRVT in 2011 and 2012 as an OIE Collaborating Centre & Reference Laboratory, in partnership with the Italian Ministry of Health, hosting and training numerous Tunisian researchers for an OIE Twinning Project on food safety. 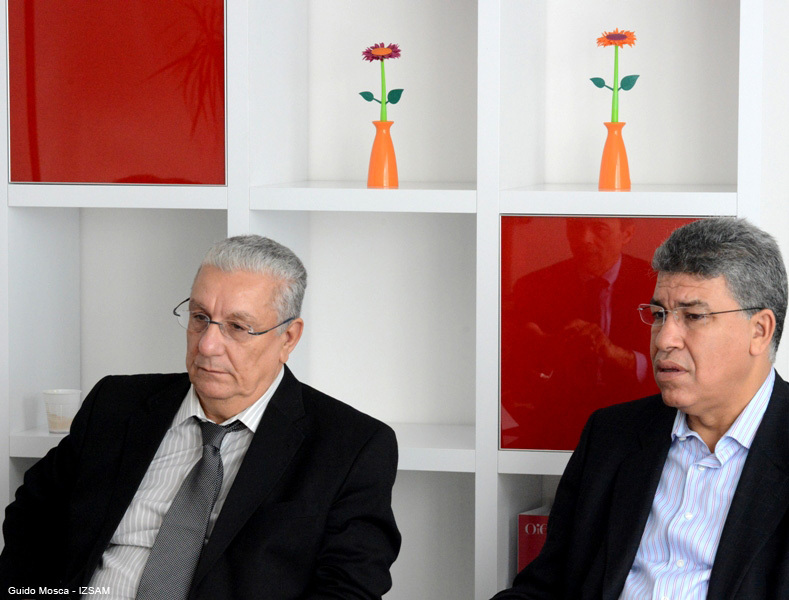 IZSAM and IRVT have recently carried out another OIE Twinning Project on Bluetongue that finished last July by a regional conference in Tunisia, which set conditions for the passage from a classical bilateral partnership to a multilateral cooperation.